Input text: A shiny very dark [guitar] piano. [Music] backdrop. Sky is [theatre]. Shadow plane. Azimuth of the sun is 200 degrees. A [piano] guitar is -1 foot in front of and -2 feet above the piano. It is leaning 20 degrees to the back. 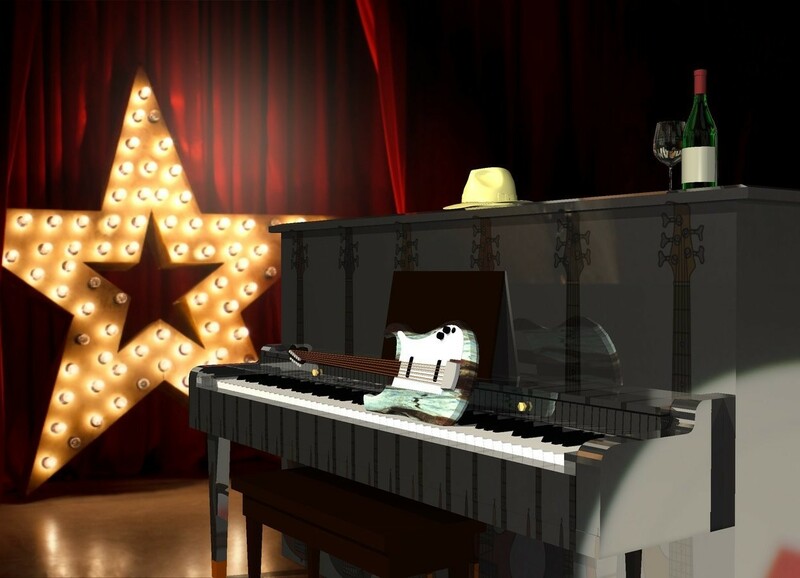 A khaki hat is on the piano. A bottle is 2 feet right of the hat. A glass is left of the bottle. The sun is cream.